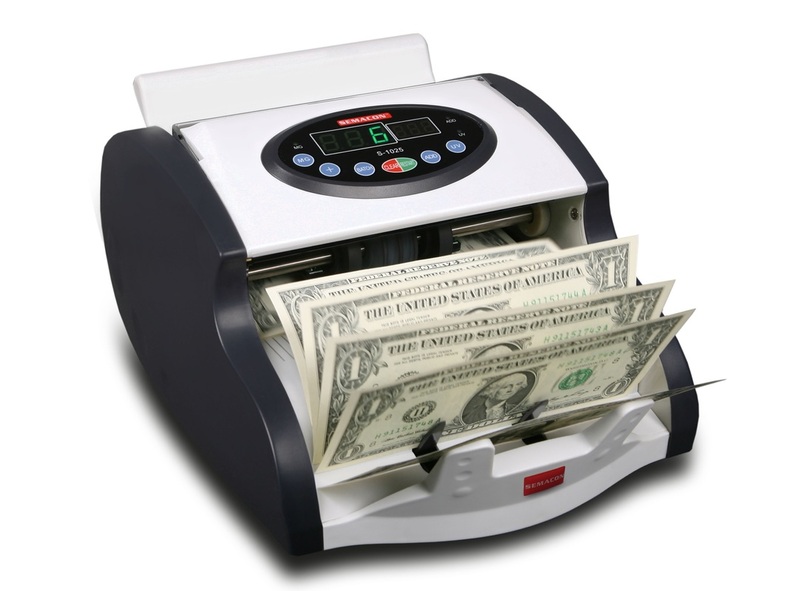 Fast and accurate, efficient and reliable, the heavy duty Global JM-90 series of currency counters are the economical choice for handling your cash counting needs. The JM-90's are able to batch in 100, 50, 25 and 10 and can be increased numerically to suit any need. Extremely easy to use. 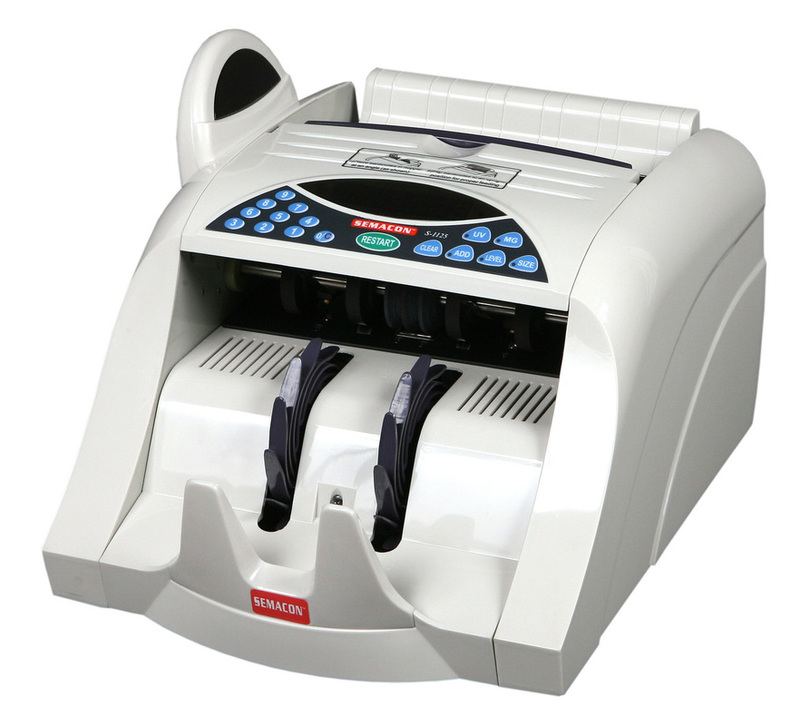 For extra security, the JM-90 UV/MG provides double counterfeit detection with ultraviolet and magnetic ink verification for notes passing through the unit. 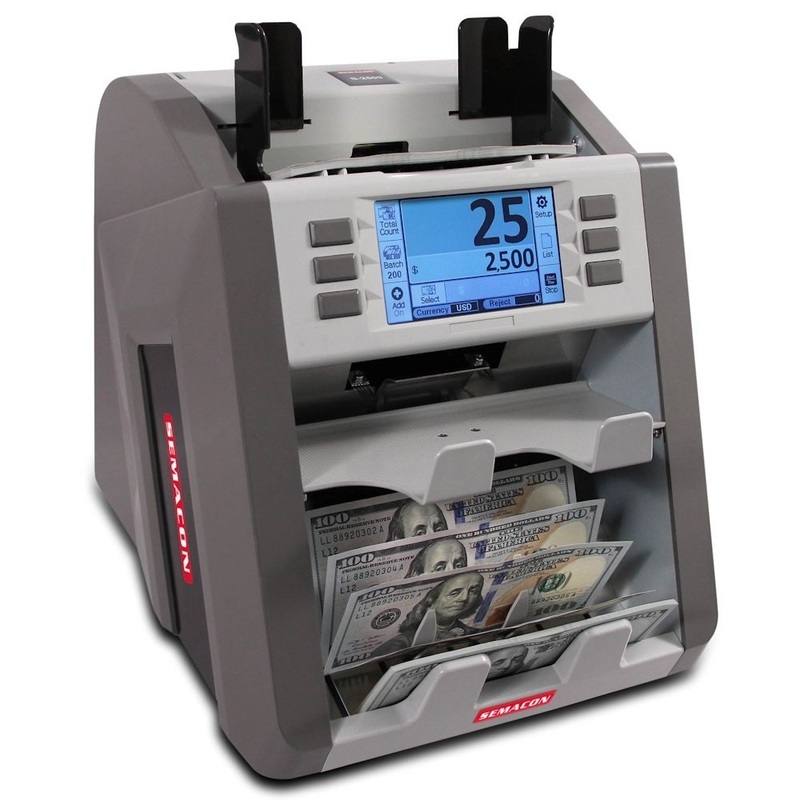 The compact Magner Model 35-3 Currency Counter represents the third generation in a family of outstanding price/performers, which also boasts the #1 selling table-top currency counter in the world. Along with its appealing appearance and simplicity of operation, the 35-3 offers robust functionality with automatic start, full error detection, adjustable speed, variable currency batching and accumulation mode. At speeds up to 1500 notes per minute, basic currency counting applications can be performed with greater efficiency and optimum productivity. Designed from the beginning for superior reliability and dependability, the Model 35-3 is engineered to deliver MAGNER quality performance for the long haul. 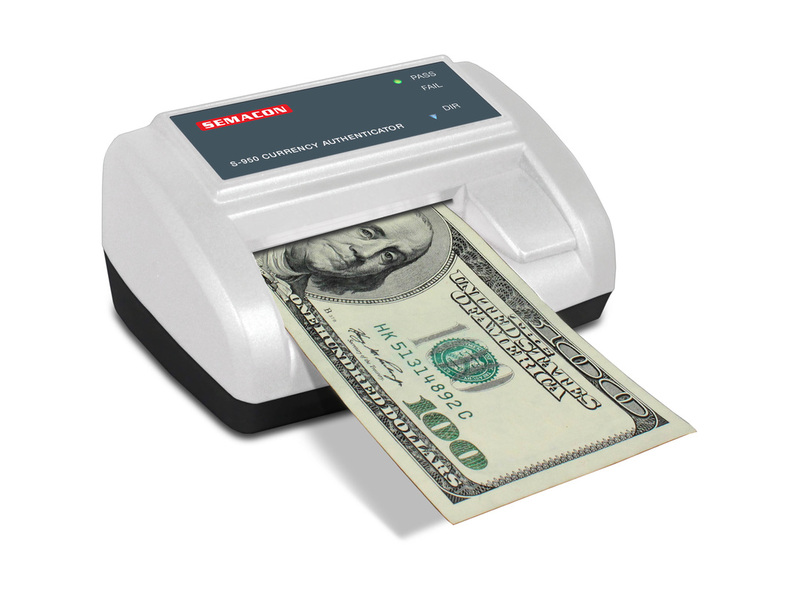 The Semacon model S-2500 Bank Grade Two Pocket Currency Discriminator features heavy duty construction, a precision banknote feeding system, advanced image processing technology for denomination recognition and unsurpassed counterfeit detection. 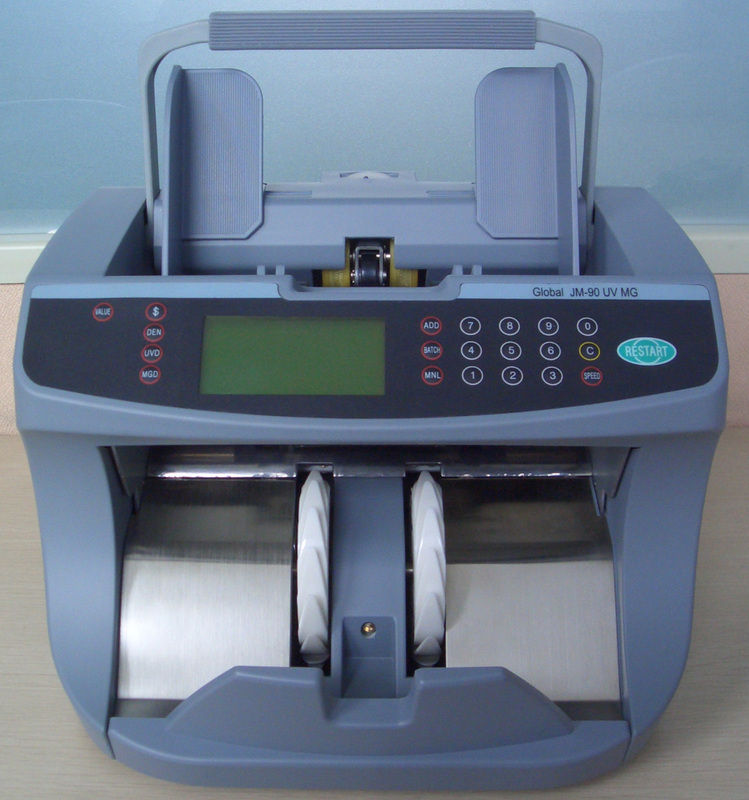 Together these features combine to offer one of the most accurate, compact and durable desktop currency sorting and value counting machines available. The Semacon model S-2200 Bank Grade Single Pocket Currency Discriminator is intended for use in high volume environments such as banks, credit unions, casinos and large retailers where mixed bill value counting is required. This discriminator is one of the most compact single pocket currency discriminators available and features a user friendly color graphic touchscreen control panel making it an excellent solution for a variety of applications. The S-1600 Series Premium Bank Grade Currency Counters are intended for use in high volume environments such as banks, credit unions, casinos and large retailers. They feature an intuitively designed control panel including a 10 digit keypad for batching along with buttons for commonly used features making these counters easy to operate in a variety of applications. These counters offer ultra high speed counting at up to 1800 banknotes per minute and are manufactured with high performance, full duty cycle components designed to run 24/7 for years in the harshest environments. 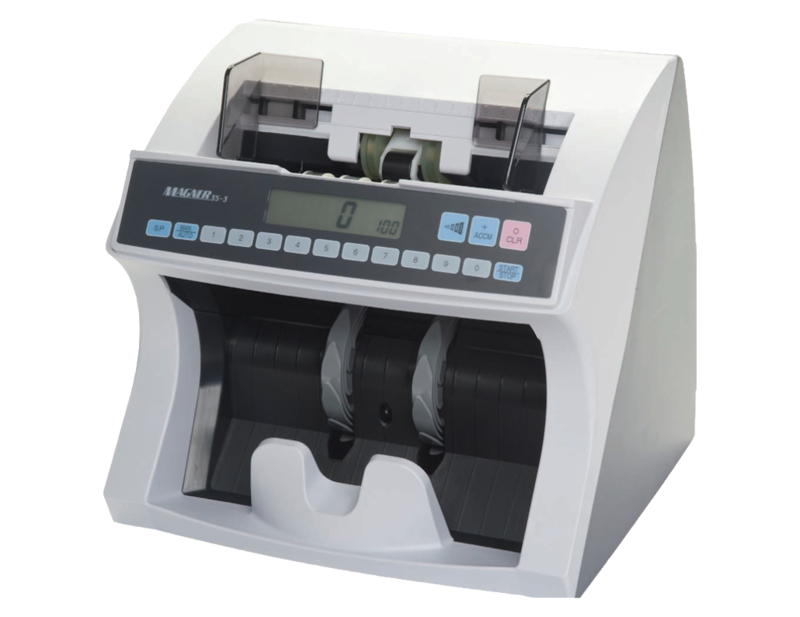 The S-1600V Series Premium Bank Grade Currency Value Counters are intended for use in high volume environments such as banks, credit unions, casinos and large retailers. They feature an intuitively designed control panel including a 10 digit keypad for batching along with buttons for commonly used features making these counters easy to operate in a variety of applications. These counters offer ultra high speed counting at up to 1800 banknotes per minute and are manufactured with high performance, full duty cycle components designed to run 24/7 for many years in the harshest environments. 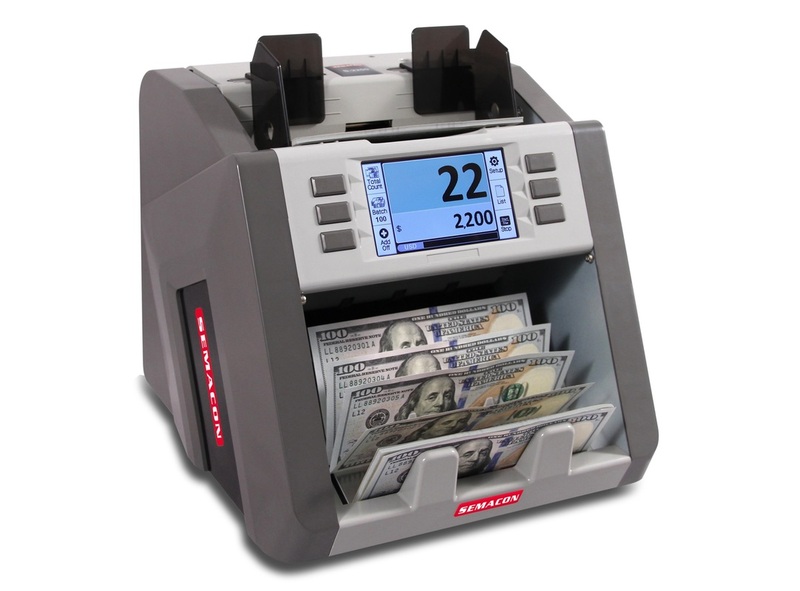 The S-1200 Series Bank Grade Currency Counters are intended for use in high volume environments such as banks, credit unions, casinos and large retailers. They feature an intuitively designed control panel including a 10 digit keypad for batching along with buttons for commonly used features making these counters easy to operate in a variety of applications. These counters offer high speed counting at up to 1600 banknotes per minute and are manufactured with high performance, full duty cycle components designed to run for many years in high volume environments. 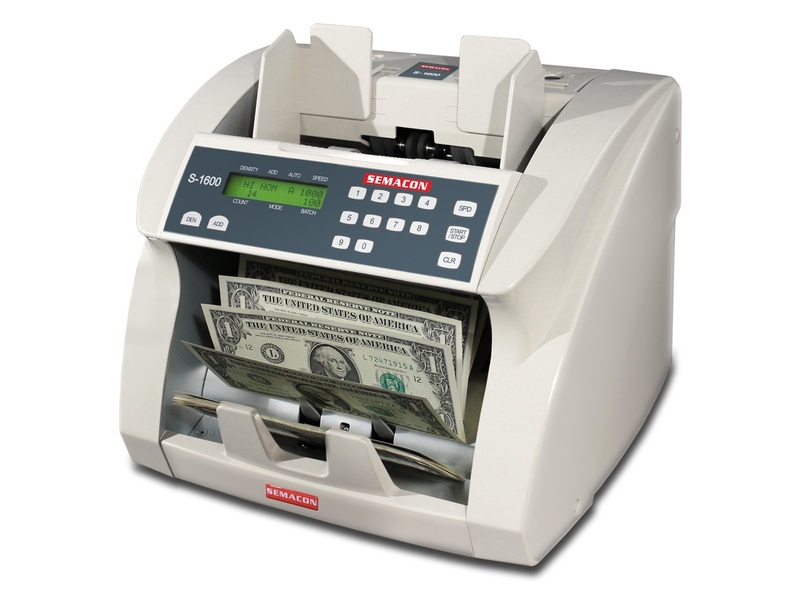 The S-1100 Series Heavy Duty Currency Counters are intended for use in mid to high volume applications. Designed for operator convenience, the user friendly control panel features a 10 digit keypad for batching along with buttons for commonly used features. These counters operate at a counting speed of 1,000 banknotes per minute. Counting tasks that would have taken hours are now reduced to just minutes. 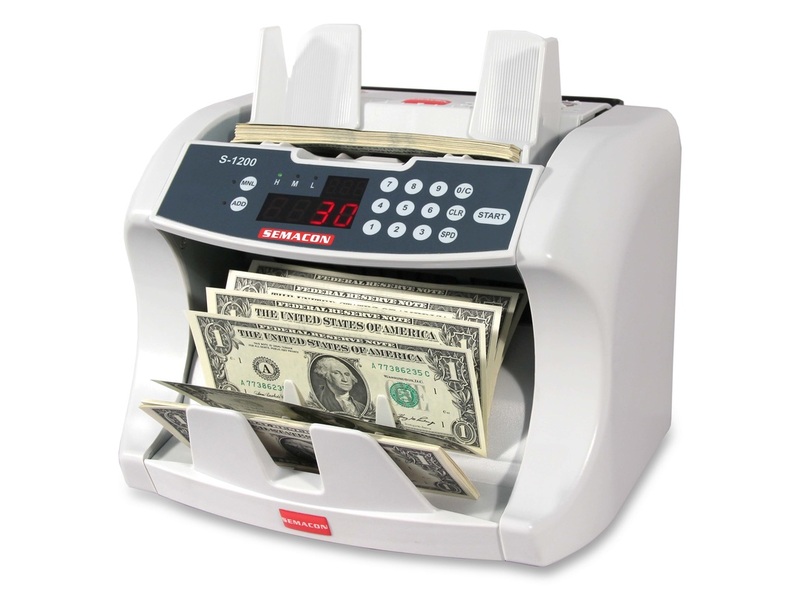 The S-1000 Mini Series Compact High Speed Currency Counters are intended for use in small to mid-volume applications. Designed for operator convenience, the intuitive control panel features batching along with buttons for commonly used features. These counters operate at a counting speed of 900 banknotes per minute. Counting tasks that would have taken hours are now reduced to just minutes. The Semacon model S-960 Compact Automatic Currency Authenticator features a simple Pass/Fail indicator and eject direction control in a durable compact space saving design. Feeding a bill into the machine is done quickly and easily, followed by an immediate indication of the authentication results.